It’s always puzzling to be around those who deflate, especially in a situation that is meant to promote self reflection and general acceptance. But yoga can bring out the strange in some people. Maybe it’s because it taps into something primal? Recently, I was chatting with my school friends on Whatsapp and that conversation left me giggling. So much fun it was that as I write this, I can’t stop smiling. I love hearing stories about your sisters. It doesn’t make me sad anymore that I missed out, but rather I can live vicariously through wonderful friends like you when you share about your closeness. Thankfully, I have a lot of people around me with whom I get to share a lot of good frequent laughs. (husband, kids, friends). 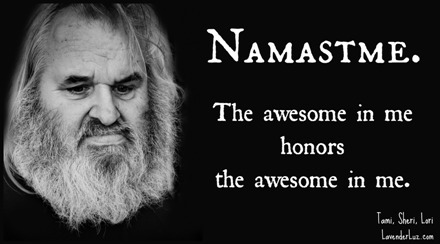 An arrogant yoga person you say? You’d think the 2 things would somehow cancel each other out wouldn’t you? Is that like very angry very religious people? I’ve heard a few yell at the top of their lungs that they’re praying for someone they’re mad at. Or that they’re going to forgive and go on with life because God is good and He’ll punish them. The last time I couldn’t stop giggling involved a convo with the kidlets and hubby. I’ll refrain from repeating it, but it was essentially a Malaprop moment (something one of the three is known for). Love moments like that! I love that! It is definitely worth a meme. I had several good nights out last week with friends, and whilst we didn’t come up with anything that meant we couldn’t stop giggling, we did have some belly laughs, and those are always good! The last time I giggled a lot was when my girl very quickly spat out the banana bite she tried. It wasn’t so funny really, but my boy and I laughed and then my girl did too. I love moments like that. And I’m grinning at the meme. Excellent. Thse days my daughter and I share times, stories, and laughs like sisters, like besties. 🙂 . Oh wow, that meme is AMAZING! I have known people like that. Forget about YOU, let’s do more about ME. So strange in a practice that’s supposed to be reflective and add communion of sorts. I think seeing Ghostbusters with my girlfriends was the last time I giggled uncontrollably with them, and then recapping favorite scenes after.